It's been a really busy months for me recently. Been preparing my National Medical exam, and everything went well. Finally, I am a medical doctor! yeay! Well as a doctor, I have a busy life. More over I am also a food blogger who has my job to try all those tasty (and sinfully delicious) food. Eating healthy foods sometime could be real challenge for me. Those working hours and morning meetings did not allow me to prepare the healthy food for myself. 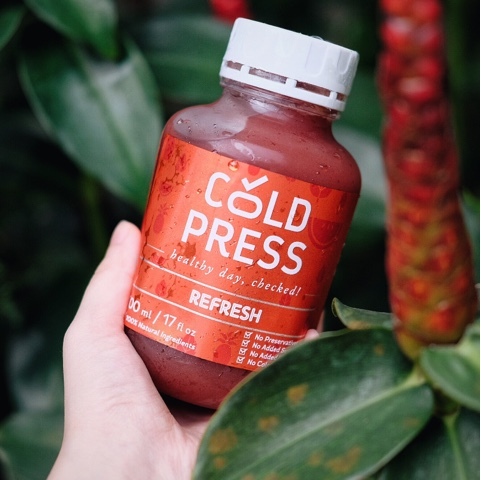 Lucky me, Cold Press is here to help! 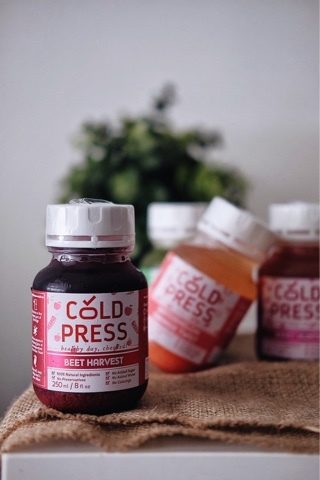 Cold press juice uses hydraulic juice to press the fruits to have its extract. 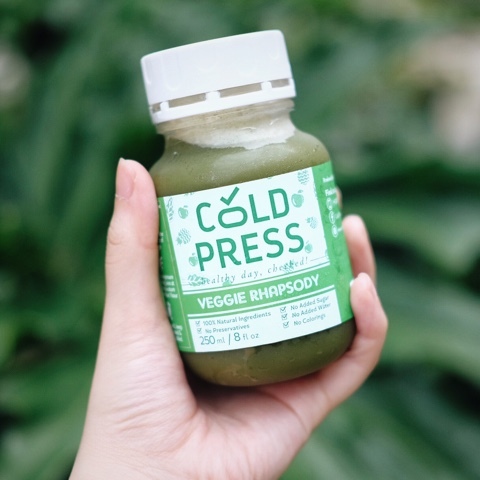 This type of juice has gained its popularity since 2013 because they don't produce much hear so they have more nutrients in it. Many believe that they are good for cleansing and detoxifying your body, I do too! Moreover, they are just one click away! 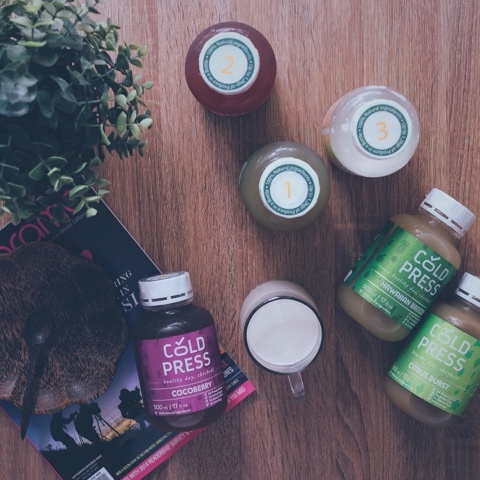 Cold Press Indonesia has been really kind to let me try their detox program. It is surely something new for me. I am quite concern about healthy food. I ate salad often. I always try to have vegetables on my plate. I limit my sugar intake. I am a fruit-freak. But I never had any experience with detoxifying before. So this one excite me much! Power cleanse , Skin glow and Weight Maintenance, Classic, Anti Aging, and Vitality. I chose Vitality detox program because I felt tired recently, and they said it will suit me well. They have option for the length of the program, consist of 1 day, 3 day, or 5 days. I have 3 days for the standard detox. Vitality Detox Program consist of Lean Green, Refresh, Nutty Nuts, Coco Berry, Hawaiian Breeze, and Citrus Burst. I personally think all of the flavors is quite enjoyable. So I am gonna share about my detox experience with you guys. Before start cleansing your body, they recommend me to stop drinking coffee, eat healthier, and start exercising. I am a daily coffee drinker, stop drinking coffee, even for a day will give me headache because of the caffeine withdrawal. So I stopped my coffee dose one day before I started detoxifying. On day 1, I drank it as it intended to be. 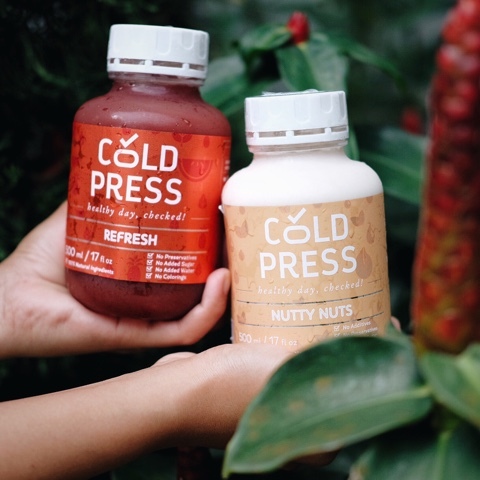 Cold Press Indonesia helped me a lot with numbering the bottles, so I could drink it following their rules easily. First day is always the hardest. I spent most of my days at the hospital, so I felt really exhausted even though I drank a lot. The caffeine withdrawal effect gave me severe headache. I tried to follow their rules, but it made me spent the rest of the day on my bed. Took a rest and drank juice. On the second day, my body tolerated better. I followed the rule to drink it and did not any headache like the previous day. I could do my daily activity better than day 1. I felt like the cleansing program started to give the effect. I felt lighter because my digestive system worked well too! On the third day, I felt like my tummy is flatter. I felt lighter, I drank 3 bottles and unfortunately my gastritis attacked. So I had to take my medicine and had my salad. But I still continued to drink the juices, but with salad in between. Anyway my favorites are Lean green and Citrus burst. 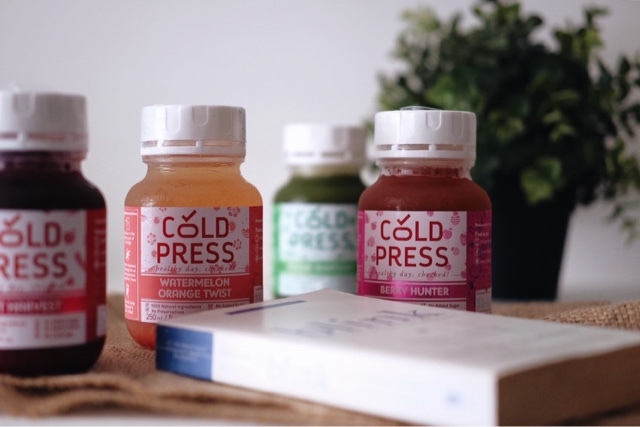 Cold Press Indonesia is also really generous to let me have their Signature Pack of daily juice! They have Freshen Up, Beet Harvest, Tropical Greens, Watermelon Orange Twist, Veggie Rhapsody, and Berry Hunter. Each at 250 cc. All of them is really tasty. My favorite would be the tropical greens and veggie rhapsody. The vegetable on the bottle made me feel healthier in a very enjoyable way. The rest of the flavors is very enjoyable too! So yes, I feel a little lighter, healthier, and my digestive system worked really well. Will I recommend you to try their detox program? Yes! But make sure to follow their rules before starting the cleansing so it won't upset your body. 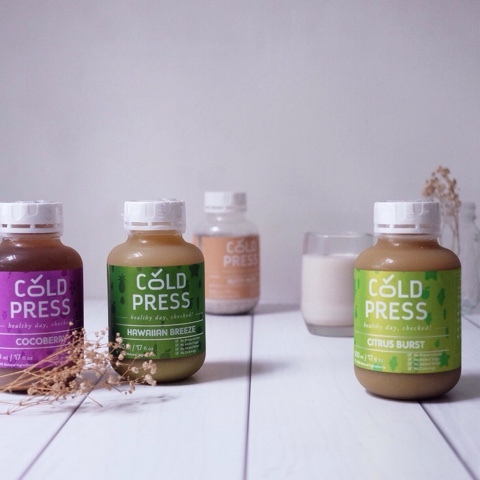 THANK YOU COLD PRESS ID!